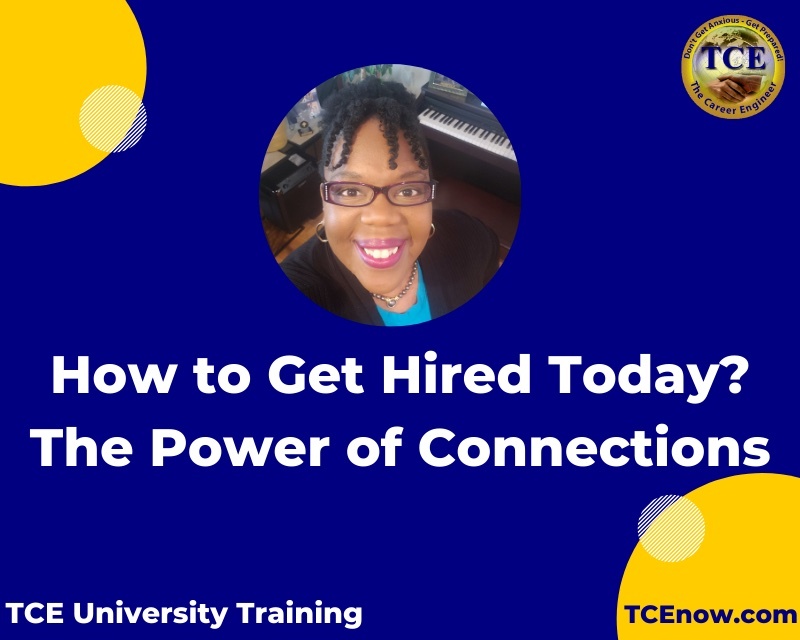 This TCE video "How to Get Hired Today (The Power of Connection) is the final of a three part series that will TEACH you how to change YOUR Monday mornings and become the RIGHT Talent to increase your chances of getting HIRED in This economy! Gave me hope: "..This is a tough time for me right now, and just in that brief 15 minutes, I had a renewed sense of hope and would recommend that anyone getting out into the workplace give this a try. Thank you Francina.."
This seven minute TCE video will deliver proven TCE connection strategies to help you increase your career winning potential. It's deeper than JUST social media, monster and career builder; it's all about know who you are, what you bring and HOW to connect the dots. Bottom line...this third segment (and the entire series) can get you in position to INCREASE your competitive edge and change your Monday mornings.